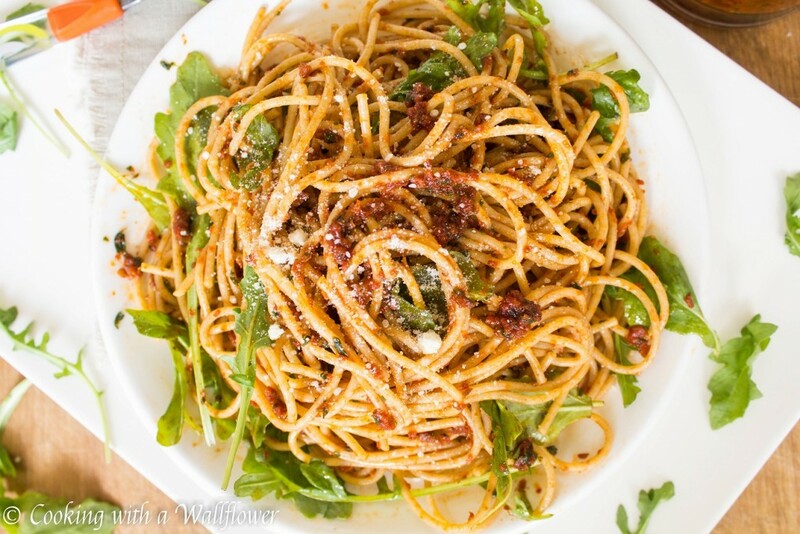 Spaghetti pasta tossed with sun-dried pistou and arugula then topped with parmesan for a delicious weeknight dinner. 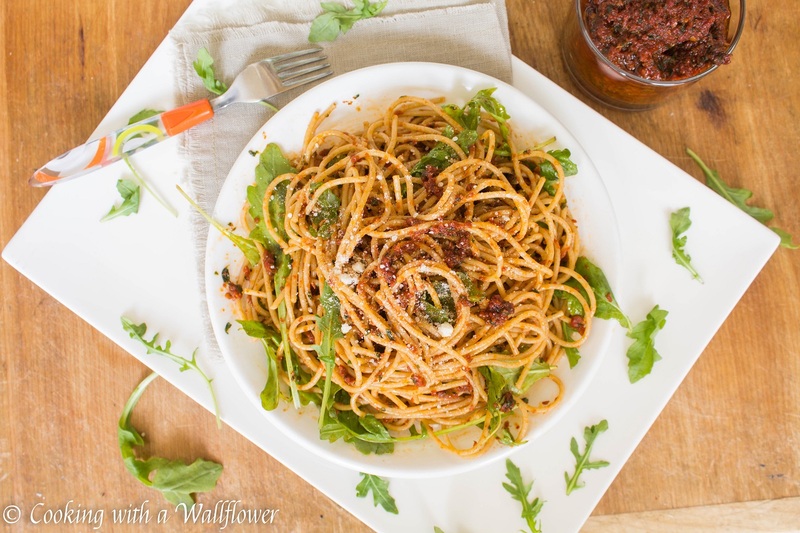 This sun-dried tomato pistou pasta with arugula is easy to make and the perfect go to dinner. It’s almost mid September, right in the middle of back to school season, and I know how hard it must be to juggle so many things at once. So, today, I’d like to share with you this super easy pasta dish that can be made in just 15 minutes. 15 minutes to prep and cook. Dinner can’t be easier than that, right? If you love pesto, then this dish is perfect for you. The slight tartness of the sun-dried tomatoes, the fragrance of fresh basil, the unique taste of arugula. All these flavors complement each other so well. You’ll love this summery no fuss pasta, especially since it only requires a few ingredients that you might already have on hand in your pantry. Want to try this pasta dish? You can find my recipe at Ask Anna. 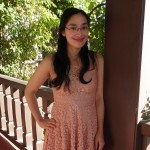 This entry was posted in Farmer's Market, Quick and Easy, Recipes, Uncategorized, Vegetarian and tagged quick and easy, vegetarian. This looks delicious!!!!! Beautiful pictures! I am seriously obsessed with pasta at the moment. Or any quick and easy recipes for that matter. This looks so tasty! That looks so good, and here I am trying to abstain from pasta! Darn!! 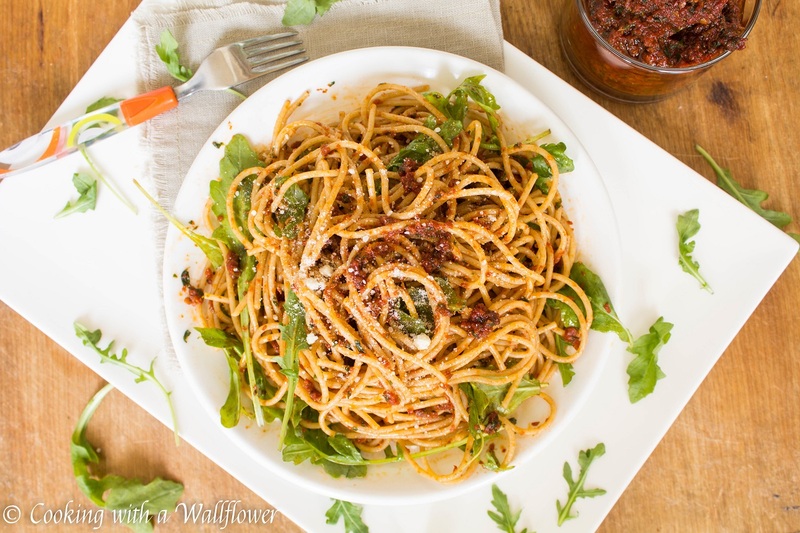 I could eat pasta every day, and I like this combination of ingredients which I will surely try.